PORT MOODY, BC – Twin Sails Brewing has announced the release of the second in a series of limited edition dry-hopped sour ales. 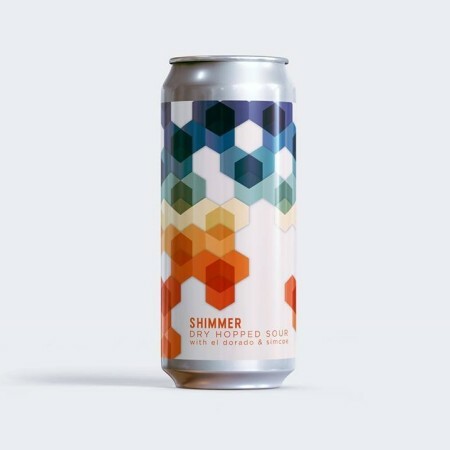 Shimmer is a stainless fermented sour that we generously dry hopped with Simcoe and El Dorado. This beer showcases huge tropical fruit flavours, including big citrus, mango and pineapple notes with the Simcoe adding some west coast resinous flare. We did not kettle sour this, but instead allowed the acidity to develop through out the fermentation process. This provides a much more complex yet clean sour profile. Shimmer No. 2 will be available on Saturday March 9th in 473 ml cans at the Twin Sails retail store and online shop.